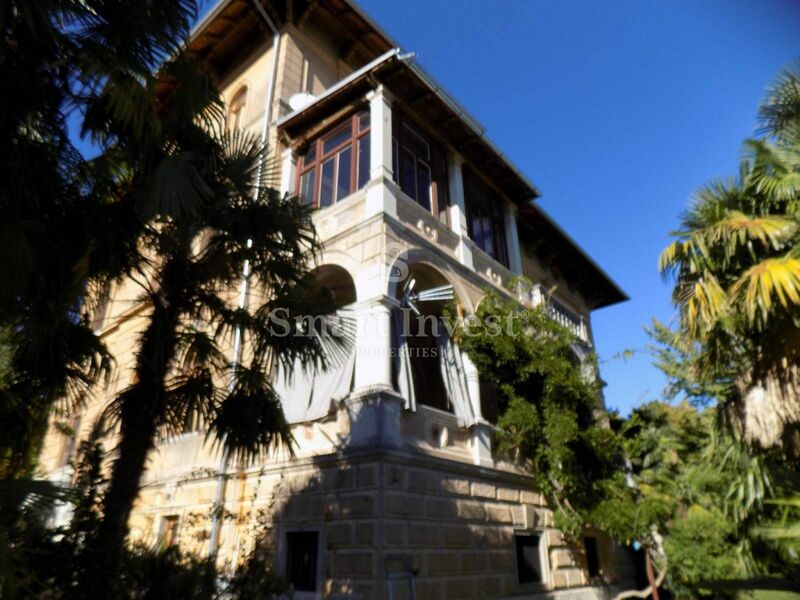 OPATIJA - CENTER, a storey of an old villa surface of 180 sqm, located on the 1st floor with beautiful sea view, consisting of three rooms, two bathrooms, large living room, large entrance hallway, enclosed balcony of about 20 sqm, terrace and a small balcony, and there is an extra room in the basement of 40 sqm, which makes total area of 220 sqm. The apartment is for complete renovation which offers a buyer decoration by his own wishes. The apartment is located only 150 meters from the sea and close to the city center, but also in a peaceful environment. Ideal property with garden of 500 sqm and its own parking place!